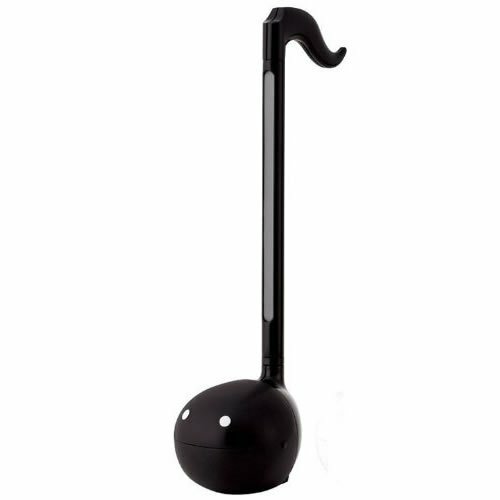 If you want something that looks and sounds kind a weird and will surely get attention anywhere, Otamatone is definitely the right choice. This strange instrument comes from Japan, which is country of unlimited possibilities. Especially for design. It looks little bit like a note, but there is a big “face” which opens while playing and emits the sound. And yes, it even has two dots like eyes and a mouth. 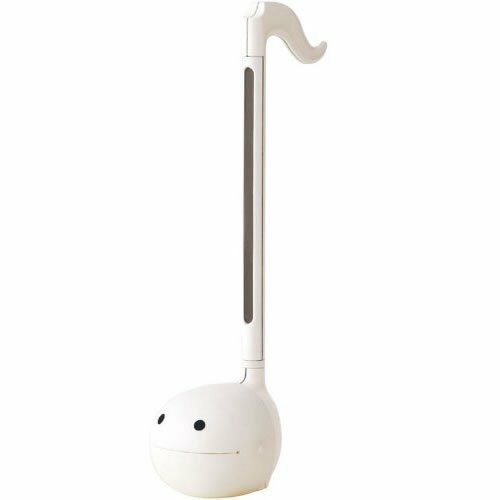 All of Otamatone designs comes from design studio Maywa Denki and his famous performer / director Nobumichi Tosa. “Otamatone” which is produced as a piece of “Voice Mechanics” series, has milions of fans all over the world. It’s also won a grand prize in the high target toy category at the Japan Toy award 2010. You will need two hands to handle this instrument. One hand controls the neck of the Otamatone and it is similar, to classical guitars – the higher you have your hand, the higher pitch you get. Your second hand is meant to squeeze the “head” of this instrument and adjust the sound. To understand how is the sound created you must dive in the mouth of your otamatone. There you will find a speaker which reacts to your hands. All, in all, it works like a very simple synth. And it´s powered by batteries. So far there are 12 different versions of Otamatone on the market, differing by sizes and variety of sounds and features. So except standard version you can also buy a small Otamatone with sizes similar to cell phone, but also bigger version called Otamatone DX, which is capable of playing louder, you can plug headphones or even set up how loud you want to play. Well, if you want to do serious music, it´s definitely not. But if you want to be interesting and attract attention, or if you just want to have some fun, Otamatone may be the right solution. Especially because there is pretty large community of fans on the internet and Otamatone is one of the rising stars of YouTube scene. Up to date you may find thousands of videos where somebody is trying to play famous songs and melodies with this instrument. Would you like to try it too? With price around 100 dollars it´s not so expensive kind of fun. Note: The red LED light flashes constantly when turned on.